This tarp was not only designed for optimal weight and maximum versatility, but we have also spared no effort in making the ecological footprint as small as possible. The result is a tarp with 100% fabric utilisation; no material is wasted. 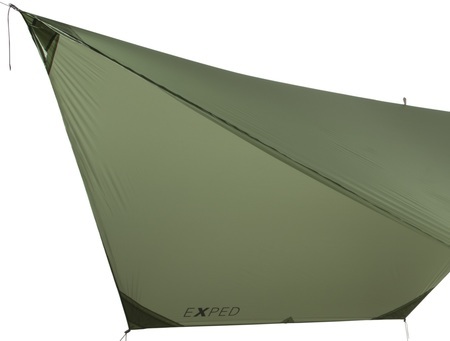 As an asymmetrical tarp, full weather protection is offered for both the hammock and other equipment. As a symmetrical hexagonal tarp, it can be staked(?) to the ground on both sides or used as an A-Frame tarp. Many other assembly options are possible due to various folding options. 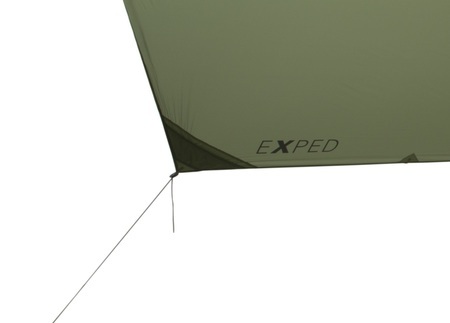 This tarp is tensioned with our innovative, patented SlitLine, which can be tied around trees without knots. 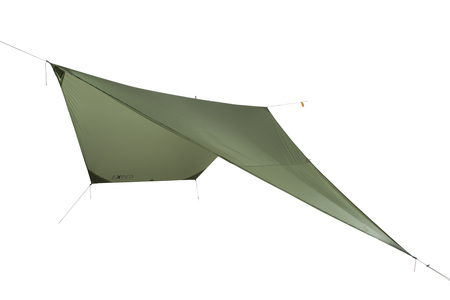 This versatile hammock tarp is very lightweight and is designed to offer optimal weather protection. In addition, it’s manufactured without producing any waste and is definitely a product for our times.